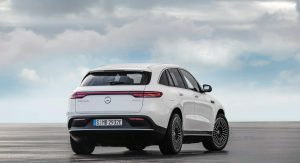 If you’re in the market for an electric car and Mercedes’ EQC has convinced you to make the purchase, you might need to arm yourself with patience. You see, Mercedes-Benz hasn’t even started production of its first electric crossover, as Daimler subsidiary Accumotive, which is in charge of building the batteries for the EQC, is still in the recruitment phase. The company will double the number of employees to around 1,000 people at the Kamenz site in East Germany by the end of this year. That will help their goal of starting volume battery production from 2019 onwards. 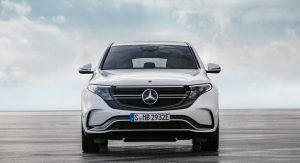 If everything goes according to plan, Mercedes-Benz will start manufacturing the EQC electric crossover in spring 2019. As a result, deliveries will begin in mid-2019. 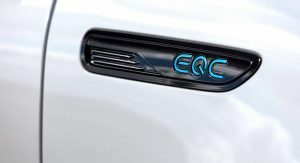 That means Audi’s e-tron might beat Mercedes’ EQC to market, despite the rumored delays. The VW-owned brand has announced that deliveries of its electric crossover will begin in early 2019. 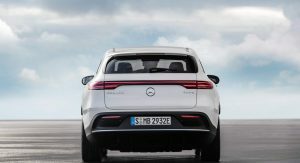 Daimler’s Accumotive GmbH & Co unit in Kamenz became operational in 2012 and has produced more than 200,000 lithium ion-batteries for Mercedes-Benz and Smart vehicles since then. At the moment, the company is building a second battery factory on the same site after a €500 million ($571 million) investment. 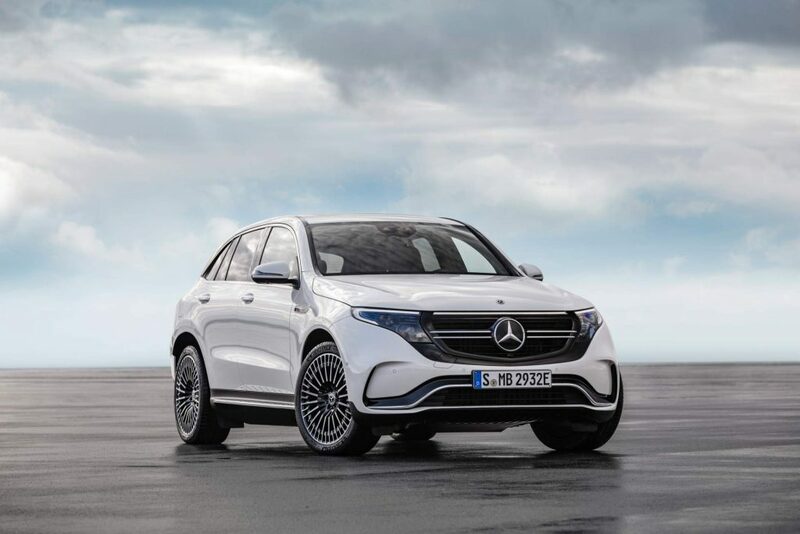 When the new facility is completed, Kamenz will become one of the largest and most modern battery factories worldwide, according to Daimler. 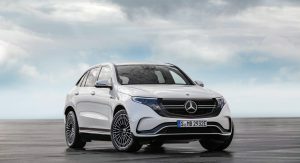 The plant is one of eight facilities spread around the world that will feed the expansion of Mercedes’ electric fleet. The carmaker targets to have its entire portfolio electrified by 2022. 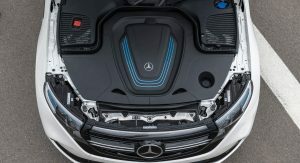 In total, Daimler plans to offer more than 130 electrified vehicle variants, more than ten of which will be fully electric passenger cars, covering all segments, from city cars to large SUVs. Delays?!? From all the negative press about Tesla, I would have thought that building an EV would be simple and fast for an established automaker. Pfffft… this thing doesn’t even have a frunk. What’s in that big space anyway? Yeah.. No Frunk only Junk! The drive module. Its based on an ICE platform. 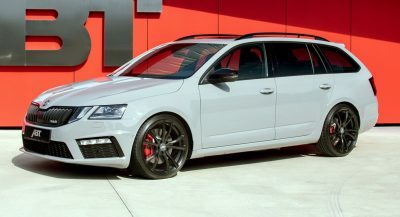 Nearly as ugly as the Model X, but at least it has conventional rear doors. Such a waste of an opportunity! 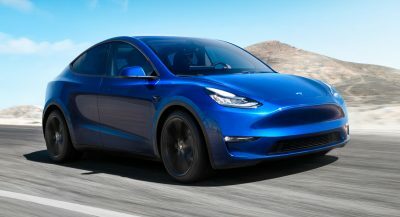 For as much flak Tesla received from automakers globally, its clear now they were simply hating Tesla for shaking up the auto industry to the core. Look at all these electric cars coming to the market! Most of them are simply an existing ICE product turned electric and the short comings are obvious. Tip-of-the-hat to TESLA. I think it is all about cost. They keep down the cost and risk. I agree, its always about the bottom line, but ultimately its the consumer that ends up with an inferior product. Time will tell is the costs and risks pays off or if the consumer is savvy enough to opt for the better product. 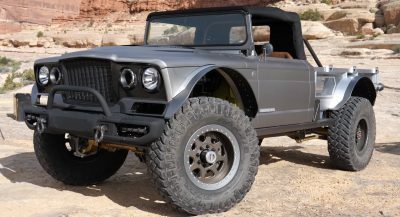 Dang, ugly comes standard with this one. No thank you though. 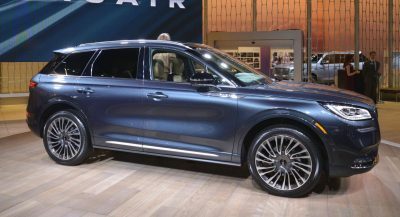 So you would not buy a EQC just because it doesn’t have that small storage in the front? 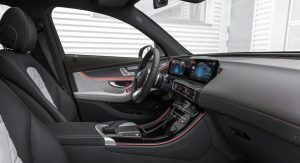 If I could opt for one of these three premium electric cars, the first option would be the I-Pace due to its bespoke platform that allows it to be spacious without being that big. 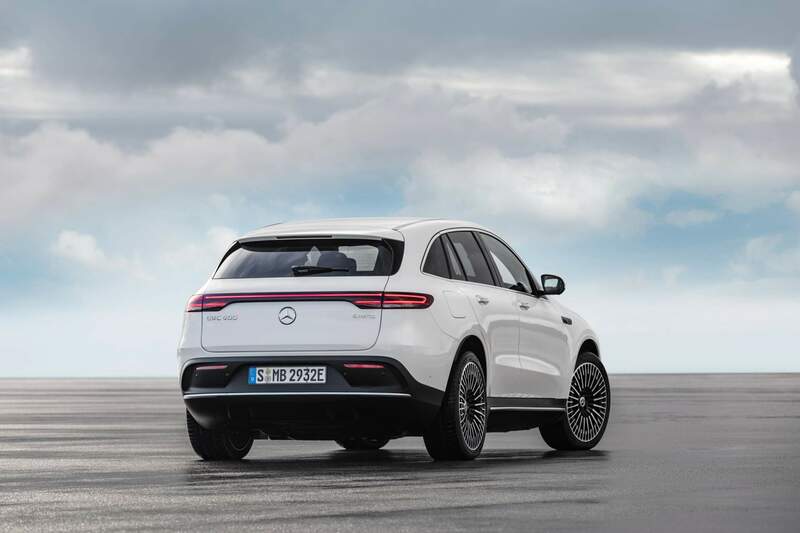 The second option would be the e-tron, as despite being underpinned by an ICE platforms it takes some good advantage, as can be noticed by a front trunk bigger than Jaguar’s. The EQC would be my last option.